Nestled in Buckinghamshire’s Chiltern Hills, a 45-minute train ride from London, Great Missenden (pop: 2,255) was originally built in the 12th century around a vast monastery. Many of its row houses are themselves upwards of four hundred years old. The village’s sidewalks are red-bricked, its roads so narrow that only one car can travel on them at a time. Until a few years ago, it had more pubs than streets. On the other side of this gate is a farmhouse into whose upstairs windows a large, cordial colossus might easily peer; in the nearby orchard is a bright blue caravan where a future champion of the world could feel right at home. The surrounding countryside, meanwhile, is just the kind of place where a mischievous fox might swipe a couple of geese—maybe even a jug of top-notch alcoholic apple cider. Until very recently, Gipsy House was home to an unassuming little shed, inside of which a 6’5” former spy and flying ace whipped up some of the classic children’s stories of the 20th century. This is where Roald Dahl lived for the last thirty-five years of his life, and where some of his most famous writing is subtly but unmistakably set. At this point, Dahl was still fifteen years away from his first big children’s book. But his career as a writer was already in full swing. He had published a handful of elegant but unconventional short stories about fighter pilots in magazines such as Harper’s and Ladies Home Journal. Indeed, his first big break had been a (mostly) factual account of his crash, called “Shot Down Over Libya,” published in 1942. And his popularization of the idea of “gremlins”—the mischievous little creatures, well known in RAF folklore, used to explain all kinds of mechanical errors in planes—had brought no less than Walt Disney calling. He and the twenty-six-year-old Dahl had spent several years, off and on, at Disney’s studios in California trying to spin the idea into an animated film, without success; a Dahl-authored picture book, The Gremlins, intended to promote the never-completed movie and published by Random House in 1943, marked his first attempt at writing for younger audiences. Dahl’s profile grew over the next decade, thanks to some prestige film work, as well as a new story collection, Someone Like You, whose darker entries gave him a new reputation as the “master of macabre.” Work and pleasure still occasionally pulled him abroad, to New York City in particular, but when Dahl moved for good into the property that would become Gipsy House, in 1954, he was arguably less famous than its other new resident: his wife, the American film actress Patricia Neal. This was an exaggeration, but not by much. Never a prolific short story writer—he averaged about two per year—Dahl’s output nonetheless plummeted during his early years at Little Whitefield. From 1954 to 1958 he didn’t publish a single piece of fiction. And even when he pivoted mid-career, at the suggestion of his literary agent, to writing for children (by this point he had several of his own), Dahl initially didn’t take much from his immediate surroundings. 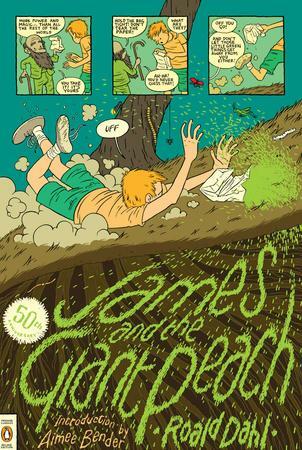 His first post-Gremlins effort, 1961’s James and the Giant Peach, opens in the south of the country, by the sea, and most of the book is spent in a westward drift above the Atlantic, ultimately landing in New York City—the very city Dahl himself had fled. 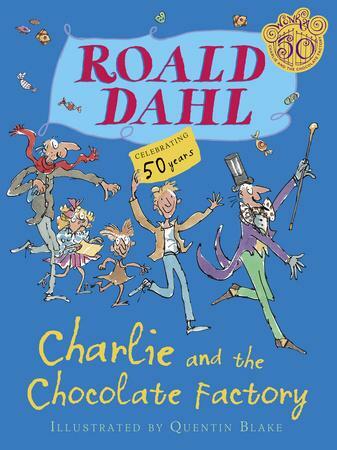 And 1964’s Charlie and the Chocolate Factory is an urban story at heart, inspired in large part by an episode from Dahl’s childhood, when he and his classmates served as de facto focus groups for Cadbury whenever the company wanted to test out new and experimental bars of chocolate. It wasn’t until a slew of tragedies shook the Dahl family to its foundations that Great Missenden first appeared in his children’s stories. In 1960, Dahl and Neal’s four-month-old son Theo was struck, in his stroller, by a taxi in a New York City crosswalk; the baby survived, but developed hydrocephalus, wherein spinal fluid accumulates in the brain. Theo would be in and out of hospital for years afterwards. Then, in 1962, their eldest daughter Olivia suddenly died, at age seven, from a rare type of brain inflammation caused by the measles. And in 1965, Neal herself suffered a series of violent strokes while pregnant with the couple’s fifth child. She was thirty-nine years old at the time. Dahl spent much of these years away from his writing desk, dedicating himself wholeheartedly to keeping his family intact. Those efforts often went well above and beyond the call of fatherly duty. When Theo’s medical shunt kept clogging, Dahl helped invent a new one that was then put into general use; when he learned that stroke victims do all of their recovery in the first two years, he hired a team of “intelligent, ordinary people, a lot of them retired or housewives whose husbands were working” to give Neal aggressive, six-hour treatment sessions in their home—an unheard-of method that nonetheless yielded incredible results. (Neal, already an Oscar winner, returned to film work and was nominated again just three years after the strokes.) Dahl, meanwhile, became the family’s full-time cheerleader/drill sergeant, marching around Gipsy House relentlessly upbeat, trying to convince himself and everyone else within earshot that things would be OK just as long as he could keep his wits about him. It may not be a coincidence that when Dahl finally returned to his writing shed, the next thing he would put to paper was a tale about a family whose lives are torn out from underneath them—literally, this time—and who are saved only thanks to their endlessly clever patriarch. From then onwards, the village would make repeat appearances, some more obvious than others, in most of Dahl’s major children’s books. 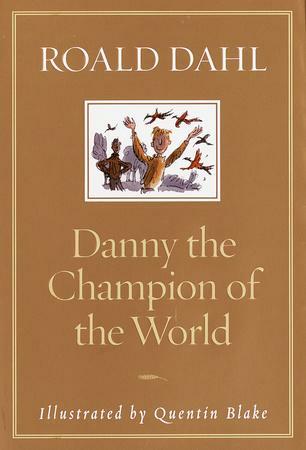 Danny the Champion of the World, for instance, from 1975, is like Mr Fox in that it, too, features a sprightly and sympathetic paterfamilias. In the book, Danny and his father live in a gypsy caravan inspired by the real-life one Dahl had on the Gipsy House estate. (Dahl had a lifelong fascination with gypsy culture, dating back to the first time he read Matthew Arnold’s poem “The Scholar-Gipsy,” and he was thrilled to discover that a family of gypsies regularly camped in the woods near his Great Missenden property.) 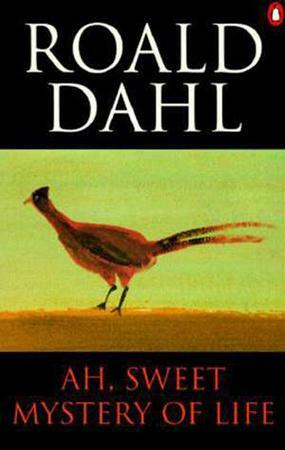 The book’s pheasant-poaching scenes were inspired by Dahl’s more youthful adventures with his friend Claud in Buckinghamshire, and set in nearby Atkins Wood. A local petrol station, meanwhile, with its bright red, 1950s-style pumps, inspired the novel’s garage; it sits, preserved, on Missenden’s High Street to this day. Missenden would also show up on the page, in more ways than one, in The BFG. Published in 1982, it opens with a young girl called Sophie waking up in the middle of the night and looking out the window of her orphanage. That’s when she notices, in the distance, striding towards her down the High Street, “something black… Something tall and black… Something very tall and very black and very thin”: a giant. 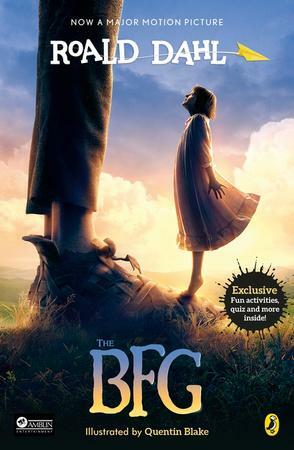 Dahl modelled the BFG after his builder, a large-eared man named Wally Saunders, and the orphanage after a distinctive black-and-white-patterned house on Missenden’s actual High Street called Crown House. Even Dahl’s long time illustrator Quentin Blake seems to have gotten the reference: his picture of the BFG, trumpet in hand, peering into a second-storey window across the street from the orphanage is a dead ringer for Missenden as it still appears. Fittingly, if one were to look out the window of this private residence today, the building you’d see is the Roald Dahl Museum and Story Centre, which opened in 2005. On the side of the building is a mural of that exact same Blake illustration—only now the BFG is peering into the place where the archive of his creator’s many manuscripts and letters is kept. 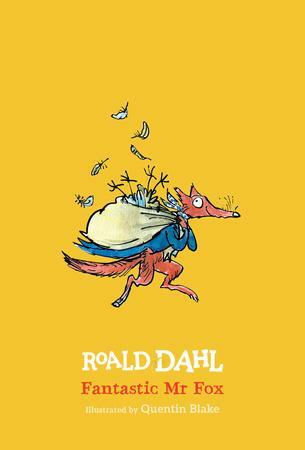 In general, Dahl’s personality tended to have an all-or-nothing effect on those who knew him. His penchant for sweeping, bombastic statements, especially in social settings, either totally won you over—as it did during his days among the buttoned-up bureaucrat crowd in Washington—or else alienated you entirely. Dahl considered this brusqueness part of his charm and seemed genuinely mystified whenever someone took offence. His first real experience of pushback came during the film adaptation of Charlie and the Chocolate Factory, when the NAACP argued that the book’s depiction of Oompa Loompas as a race of African pygmies was racist. Confused, and an ocean removed from the civil rights movement that was then at full boil, Dahl nevertheless capitulated, rewriting those sections of the book and changing the Oompa Loompas into a separate race of green-haired, orange-skinned creatures instead. Dahl’s biographer, Donald Sturrock, says this kind of blunt language was “par for the course[JH13],” and that the author’s correspondence is full of harsh generalizations about the many nations and ethnicities that had even momentarily irritated him over the years. The English, French, Dutch, Americans, Irish, Swedes, and Germans all got theirs, too. But Dahl was clearly unprepared for how his comments would be received in such a public setting, and in such a charged political moment. Here, as elsewhere, friends and family say Dahl was driven more by his love of provocation than any true anti-Semitism. But for many of his young fans, these comments were a jarring and unsavoury window into the man behind the pen. Geography was always a much happier, and more reliable, source of inspiration than politics for Dahl anyway. Outside of his novels for children, Dahl occasionally drew on the countryside in his other writing, too. The narrator in “The Hitch-Hiker,” for instance, is driving a route, south to London, via Chalfont St. Peter, that means he likely came through Great Missenden sometime before the story opens. One of the bullies in “The Swan,” meanwhile, mentions offhand that he used to dissect chickens “and flog ‘em to a shop in Aylesbury”—the same town where Matilda’s mother had a daily bingo reservation. In 1989, Dahl collected some of these rural stories into a book called Ah, Sweet Mystery of Life; in the preface he writes admiringly of the “fine Buckinghamshire country with its rolling hills and beechwoods and small green fields.” Memories with Food at Gipsy House, a hybrid cookbook/food memoir written with his second wife, Felicity “Liccy” Crosland, was published posthumously. In his fiction, though, Dahl only ever explicitly named the village he called home for so many years once. This was in the early story “Mr. Feasey,” first published in the New Yorker in 1953. It’s a light tale about small-time crooks and ill-conceived scams involving identical racing dogs, and at one point the two hapless protagonists catch sight of their friend in some familiar territory, but which is here given a name for the first—and only—time. “We drove through the little narrow High Street of Great Missenden,” Dahl writes, “and caught a glimpse of old Rummins going into the Nag’s Head for his morning pint.” This beloved 15th-century pub is still there, on Nag’s Head Lane, and it’s as busy as ever. You might have to line up for your morning pint, but it’ll be worth it. After Dahl’s death, in 1990, at the age of seventy-four, of a blood disease, his widow Crosland stayed on in Gipsy House and for many years even opened its doors to the public at select times of the year. Today, however, the property is owned by one of Dahl’s grandchildren, and no longer accessible. Out of courtesy, the Dahl Museum’s free maps of Missenden and the surrounding countryside don’t specify where, exactly, Gipsy House is. But it’s a small village, and everyone knows the way. Yet the need to make the pilgrimage to Dahl’s house has lessened in recent years, since his work has now effectively rippled back out and become part of the village itself. The most talismanic part of Gipsy House, Dahl’s writing shed, was meticulously moved inside the Museum and Story Centre in 2012, with every single object maintained in the exact position it was in when Dahl died—even the jar of his spinal shavings and the massive ball of chocolate bar wrappers he kept on a side table. And Charlie and the Chocolate Factory may be one of Dahl’s most city-centric children’s books, but when the Museum and Story Centre first opened its doors, Warner Brothers offered to donate the gates from its just-completed film version (the one with a squeaky Johnny Depp at the helm) as a gift; when those gates wouldn’t fit under the building’s awning, the studio had a new set custom-built and shipped to Missenden instead. 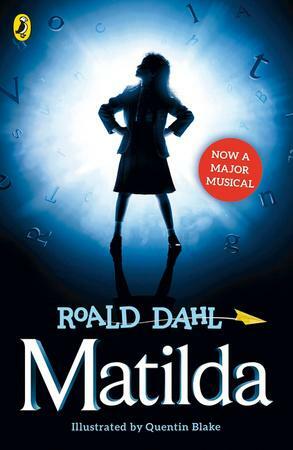 Next door to the museum, Café Twit offers a selection of over-the-top foods inspired by Dahl’s books[JH16], including fizzlecrumper lemonade, served with vanilla ice cream and sprinkles, as well as Matilda-inspired Bogtrotter cake. Even Dahl’s grave bears witness to his larger-than-life works. The church of St. Peter and St. Paul is set back on another hill, in another corner of Great Missenden, and one grave in particular stands out among the hundreds there. Look for the circular bench that rings a tall, leafy tree, the names of Dahl’s children and grandchildren carved in each panel. A quote from The Giraffe and the Pelly and Me is engraved in the concrete at your feet—“We have tears in our eyes / As we say our goodbyes / We so loved being with you, we three / So do please now and then / Come and see us again”—and a set of big, friendly footprints direct you down to the grave itself, which Dahl fans like to decorate with children’s toys and onions. Dahl, apparently, loved onions. Michael Hingston is the author of The Dilettantes and editor of the Short Story Advent Calendar. His journalism has appeared in Wired, The Guardian, and The Walrus. He lives in Edmonton. In her new book, Grunt, Roach points her flashlight to the lengths we’ll go—and have yet to go—to keep people alive. Sometimes you wind up in situations you never imagined you’d be in, and you do what you have to to get out.